The most difficult rhythm game of the saga. Dance Mini-Game is in my point of view the one where I had the most difficulty . Karoké, disco, Hokuto Clinic are nothing ! Re: The most difficult rhythm game of the saga. I personally had the most trouble with Disco in Y0, but I haven't played Ishin so maybe this would be more difficult to me. Disco substory with Kiryu made me respect Ogita. And I can tell you that I would not bet on it! Ishin's dance! does not have a single task and in addition to the rhythm it takes coordination. 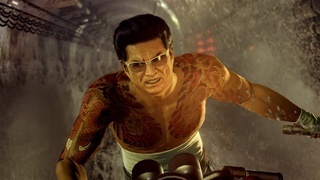 Trying to beat Miracle Johnson in Yakuza 0 made me respect the game. (I would say it's impossible to win) Gladly it's not required to win against him to finish the Substory. To be honest I had my problems with some Dance Battle Songs in Yakuza 5 on hardest difficulty.